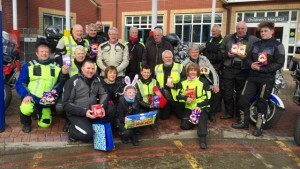 19 folks on 15 bikes rode to Derby Children’s Hospital to deliver much needed Easter Eggs and gifts to the poorly children unfortunate enough to find themselves away from home this Easter. Thanks to everyone who turned out to support this very important annual event. 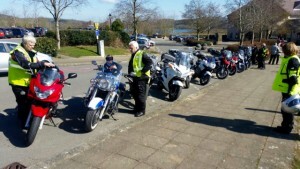 13 bikes then went on a wonderful ride through Derbyshire to Carsington Water for lunch. 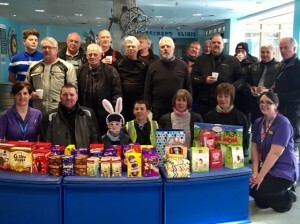 It was a great day out and was enjoyed by all who attended.